Sometimes you can find interesting stuff in your past projects! One day I was thinking about new post topics for the blog, but somehow, I got not much energy to do it. So, I just browsed through my very old projects (that are actually listed in my portfolio site). 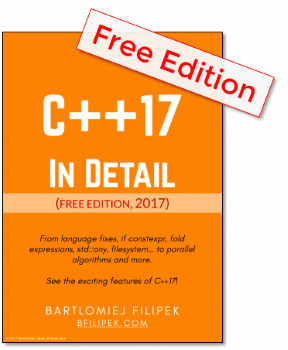 Memories came back and I decided maybe it’s time to refresh the ancient code files! This time let’s go into Matrix! Near the end of 2003, after me and my friends watching all the Matrix Movies, we got all crazy about the trilogy (which ended at that time). One friend suggested that maybe I could do some animation related to the ‘matrix rain’ from the movie intro. I said “Why not!”. 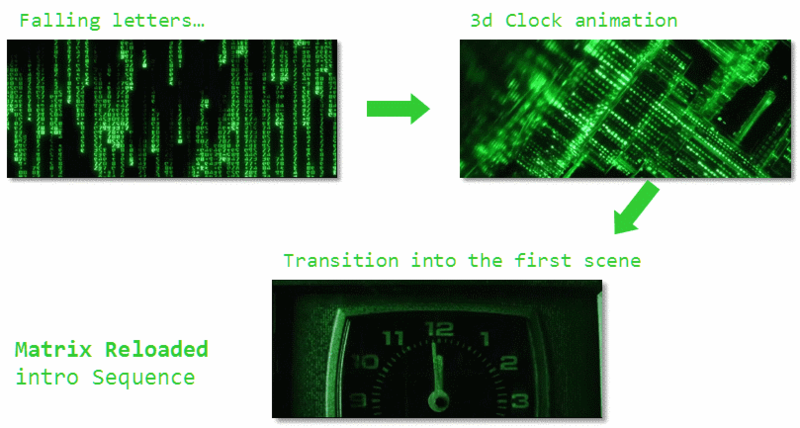 In the animation we go from simple ‘matrix rain’ into a complex 3d scene and then into the first scene of the actual movie. 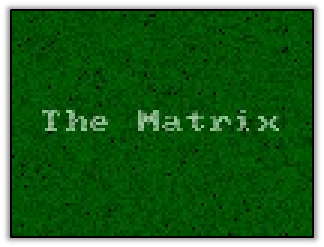 There were (and still are) many screen savers and demos that are using the matrix effect idea. So I knew that implementing a simple rain of letters wouldn’t be that awesome. I needed something more. At the same time I realized that making full animation (like in the intro) is also beyond my capabilities - I couldn’t create that advanced clock/machinery 3d scene. But what if I could simplify this idea? After some investigation, trials and errors I’ve decided to create a very simple 3d scene and put it behind the falling letters! So what we have here? The demo uses Allegro Game library 4.03 for rendering, implemented in Dev Cpp, Windows. We need an off-screen bitmap with the resolution of scr_w/font_width x scr_h/font_height. For example 1600/8 x 900/8 = 200x112 pixels. Initially, I used just a 8x8 system font, but I also experimented with matrix style font. 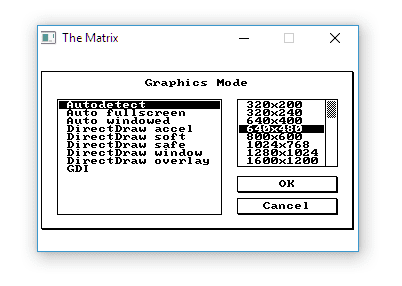 For me, the system font looked actually better for this effect than the matrix font. Please note, that we also need another off-screen bitmap, a buffer, that will be used for double buffering. The letters are falling from the top, but in the real effect, if I am correct, they can start in the middle of a window… so this might be worth checking. set_projection_viewport - spef from allegro 4.4.2 - stores the correct projection viewport of the scene. clip3d_f - spec from allegro 4.4.2 - this handles clipping, so I can just send my transformed vertices (before projection) and get clipped output. persp_project_f - spec from allegro 4.4.2 - does the final perspective projection using my camera and screen settings. The current state of the effect looks quite horrible on its own, the resolution is not acceptable, the wire-frame model is too simple. But with postprocessing it gets a bit better shape. based on pos + color (glyphs don’t change) - this is what you can see in the compiled youtube clip. I was quite surprised that the original exe file worked well on my Win10 machine!. I could just double click on the file and play with the effect. Still, there were some problems with selecting a nice resolution. The above picture shows a default Allegro GFX mode selector UI. As you can see most of this is for windows/monitors with 4:3 aspect ratio! No HD option unfortunately. And, what’s more problematic: I couldn’t enable fullscreen mode. I decided that it would be nice if I could get this working in HD resolution or at least give more options of sizes. But how to recompile this thing? Do I have those old tools… ? Allegro 5 contained a bit of breaking changes related to the version 4, so recompiling my old code (that used version 4.03 ) would be not that easy in the newest version. Somehow, after setting up the project one again, making sure you use proper compiler (MinGW, not TDM…) surprisingly I could play with the code! I’ve added option to pass window width and height as a command line params. Initially all the glyphs were random (so there was a lot of flickering), I’ve changed it a bit so it uses a glyph based on x/y/col value. Rewrite it to OpenGL… or maybe even WebGL. There is not much content to download, so it should be a tiny web app. We could use similar approach, render offscreen and then use postprocessing effect. Most of the things could be written in shaders. There are lots of such effects on shadertoy. Optimize: this is questionable actually. The effect runs pretty smoothly, even id Debug mode! I could optimize this as an exercise, but this wouldn’t be a huge gain. This was really great to play with this ancient project. It was more than 10 years (13 to be exact) when I’ve implemented the code. Fortunately, my programming skills improved and I write better code now. But in terms of creativity, at that time I was probably better at this. I’d love to return to writing such demos and little animations.